Global influencers, design-star collaborators, and emerging artisans converged this April at High Point Market, the biannual hunt-and-gather fest for the retail-residential set. Modular-minded upholstery, gilded lighting and architecturally inspired case goods were among the trends uncovered in, as the saying goes, A City Upon A Hill With The Eyes of the World Upon It. Kamiya Furniture by Jeremy Kamiya. Photography courtesy of Kamiya Furniture. 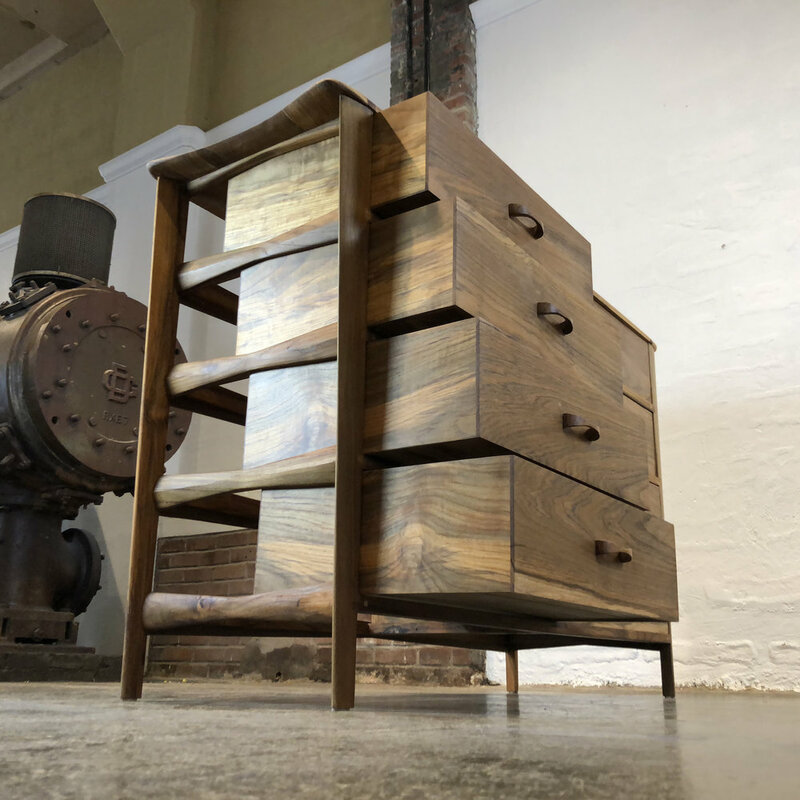 Newly relocated to the historic Union Square building, Mill Village Collective once again offered a curated assortment of design-oriented exhibitors, including first-timer Jeremy Kamiya, the Durham, North Carolina–based woodworker who crafts his dresser entirely from reclaimed teak—no screws or nails need apply.